← Local Area connection on Linux IGD REMOVAL. 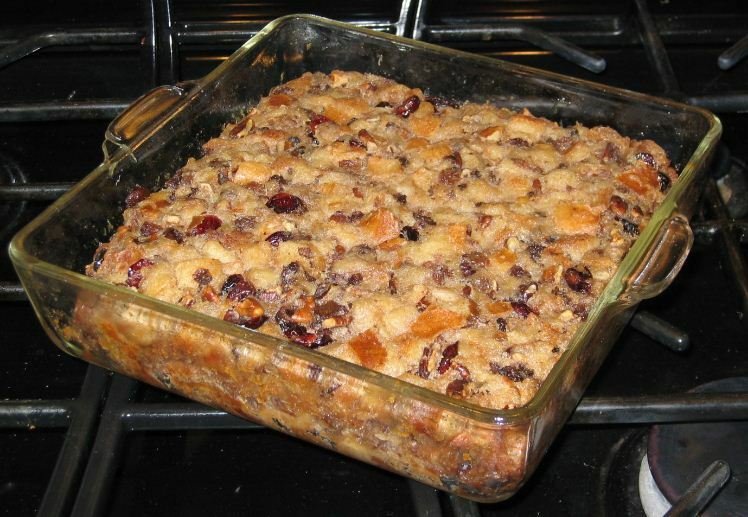 Although we prefer bread pudding to plum pudding at Christmas time, this simple desert can be enjoyed anytime of year. Stir together all ingredients until well mixed (don’t be afraid to mix with your fingers). Let the mixture sit for 15 to 20 minutes. Spoon into a greased 8″ pan. Bake 350° for 30 to 35 minutes. Cool on a wire rack. Serve with Hard Sauce. Hard Sauce 1/2 cup Soften Butter 1/2 Cup Sugar 1 Tbs. Brandy or Rum. Optional: A drop of vanilla or almond extract Cream together butter and sugar in a mixing bowl. Gently beat in Brandy or Rum Add a drop of almond or vanilla extract, if desired. This entry was posted in Recipes and tagged Bread, Recipes. Bookmark the permalink.